Do you want to learn about how to use the WordPress Twenty Nineteen theme?. This tutorial will help you to create a WordPress website using the default theme of WordPress 5+, the 2019 theme. If you search for Twenty Seventeen tutorial check this page out. When the 2019 theme was shipped with WP 5.0, I have tried it on my localhost installation. Then I immediately fell in love with this WP 5 default theme. It was very clean, and most of all, a Gutenberg-optimized theme. This means you will be able to add many layouts. Especially the full-width layout on your website, which we all loved and have waited for a long time. This below video is to demonstrate the beautiful website layout pages you can build by using Gutenberg and the WordPress Twenty Nineteen theme. 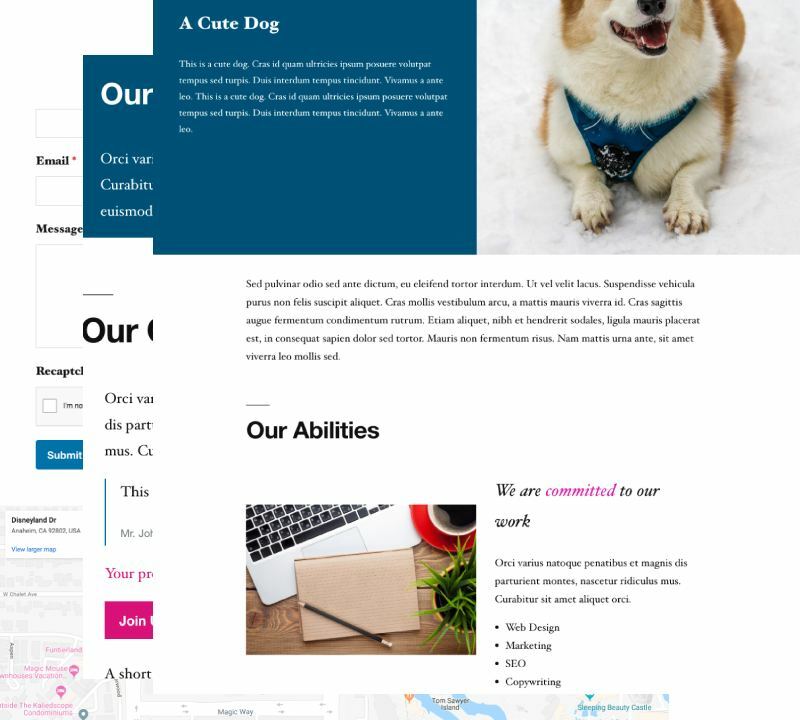 So many layouts that you can build with the WordPress 2019 theme that is a Gutenberg-optimized theme. You’ll love using the new WP block editor, I do too! ..This is for a limited time only! There are a lot of reasons why Twenty Nineteen is a great theme. The 2019 theme is not only a clean theme but if you want to learn the new WordPress block editor, then this theme is for you. This theme will give you a full experience of the new editor since it is packed with the new block features. I will show you how to step by step installing, and converting your website to be an HTTPS version of a WordPress website that is a business-oriented website. The steps are without using a single plugin. In my opinion, this is extremely important, since using a plugin to convert your site having HTTPS connection is really not a good idea due to redirections. Google, in their blog post, suggested webmasters to reduce redirections as possible, because redirections can slow down your website, especially in a mobile device. The website will also have some blocks that are business oriented, like a Welcome section, and a business submission form. Using a mobile-friendly and mobile-responsive theme. Twenty Nineteen theme is both a mobile-friendly and -responsive theme. You don’t have to worry about the theme’s responsiveness on mobile devices. The video course will only use Gutenberg or block-based editor. This means we will have a lot of practices using this new WP editor, including tips and tricks. With this course, I will also guide you through to setup Twenty Nineteen as seen on the demo website. To see the Twenty Nineteen demo website, click this link. These are the example result of the layout of our website using this course and Twenty Nineteen theme. 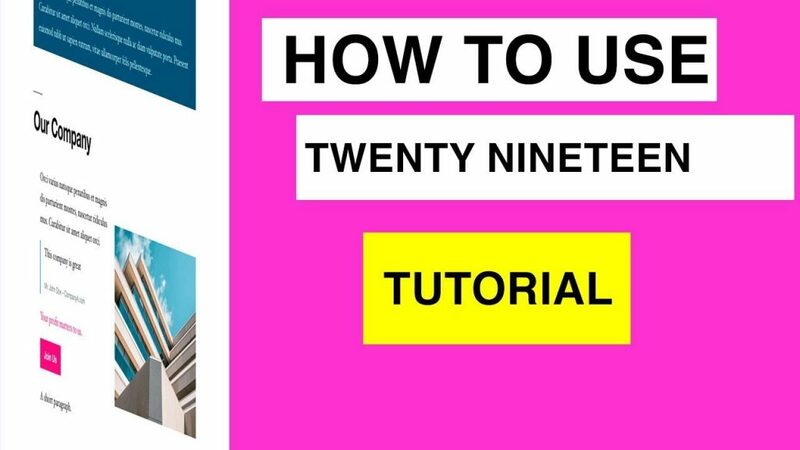 Twenty Nineteen tutorial to create a WordPress Website as shown in the Twenty Nineteen Demo website. To start using Twenty Nineteen theme, we need to install WordPress first. And because we want to create a website, we will need a domain name and a web host. In this step, we will install WordPress step by step using the famous 5-Minutes installation process in our web host. Very crucial step to have an HTTPS website version, with this step we will convert our HTTP website to HTTPS properly. We will learn how to set up our Logo, favicon and menus, includes the social menus. Because we build a corporate-oriented website, we will add a “Home” page that is also containing corporate-oriented blocks, including a submission form. We will take a look at Twenty Nineteen widgets location and what we can do with them. Same with the “Home” page, we will learn how to setup an “About” page that is a corporate-oriented web page. With this step, you can add a “News” page, that will dynamically show your recent posts to be your “company” news. You will have a “Contact” page completed with a contact form and anti-spam protection. (Recaptcha). This includes the step to setup this anti-spam captcha system. You will learn on what we can do to prepare our new website for the world. You will learn more steps that you will eventually have a solid WordPress website that is easy to maintain, because then you will understand how WordPress works to build a website. Twenty Nineteen Child Theme and More..
With the tutorial, you will also learn how to create a Twenty Nineteen child theme. Alternatively, you can just download the .zip file as the available resources. I will provide you with this if you are not keen on following step by steps creating the child theme. See you inside this WordPress Twenty Nineteen tutorial course!